Flavanol is an antioxidant that naturally occurs in different types of plants. You can gain flavanols into your body by eating cocoa beans. Be careful to make sure that you are ingesting more cocoa beans than cocoa blends that are used for the manufacture of commercial chocolate products, as the flavonol content in the latter is significantly less. This means that eating more chocolate will only get you a bigger waistline and an increase in blood sugar levels. As a matter of fact, in a study that was published in Phytotherapy Research in July 2016, the study authors said that chocolate “was not an appropriate source of flavanols” and that white chocolate have no phenolic compounds – which play an important role in cancer prevention and treatment – at all. It is not a coincidence that dark chocolates, which are given to significant others during Valentine’s Day, have flavanols – compounds that gift a person with a feeling of general well-being, elevated moods, and an increased libido. This is because cocoa, which is what dark chocolate is made from, contains monoamine oxidase (MAO) inhibitors that cause an increase in dopamine, serotonin, and phenylethylamine release. Some researchers say that the release of the combination of these three neurotransmitters contribute to one’s feelings of falling in love. When you include foods with a high flavanol content into your daily diet of nutritious meals, you will find out that all of the organs in your body systems can be influenced to function properly. Flavanols are good for the immune system. Since they are very powerful antioxidants, they have the ability to hinder the harmful activities of free radicals, thereby allowing the body to effectively deal with disease-causing bacteria and viruses. They do so by releasing a chemical known as nitric oxide, which has cancer-fighting abilities and therefore is necessary for intercellular health. Flavanols are good for the cardiovascular system. A European Food Safety Authority (EFSA)-approved claim, which was awarded to Zurich, Switzerland-based chocolate and cocoa products company Barry Callebaut, states that cocoa-based beverages, cocoa extracts, and dark chocolates, with 200 milligrams of cocoa flavanols help regularize blood circulation by keeping the elasticity of blood vessels. 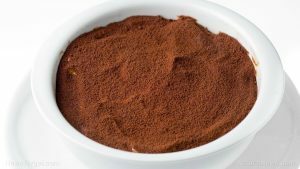 Cocoa flavanols refer to the collective mixture of flavanols such as anthocyanin, catechin, epicatechin, and leucocyanidin. Flavanols are good for the immune and cardiovascular systems. Flavanols are associated with a feeling of general wellbeing, elevated moods, and an increased libido.